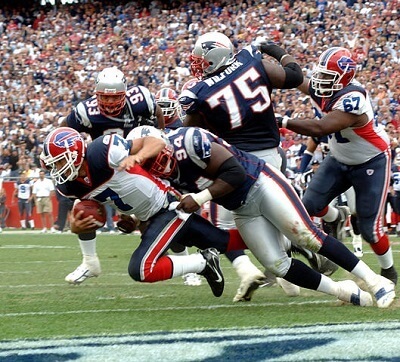 Get notified when Buffalo Bills tickets are available! Since 1960, the city of Buffalo has been home to the Buffalo Bills, a National League Football team that is in the Eastern Division of the AFL. When it’s time for home games, the Buffalo Bills take to the field at Ralph Wilson Stadium, commonly called The Ralph by fans. The stadium opened in 1973 as Rich Stadium and has had its present name since 1998. The large stadium has a capacity of more than 71,000 for football games. You can be a part of the action this season by using the links above to buy Buffalo Bills tickets.